I made whole wheat dough which you can find here a few months ago. about 4 medium sized pizzas. Each BIG enough for two people. 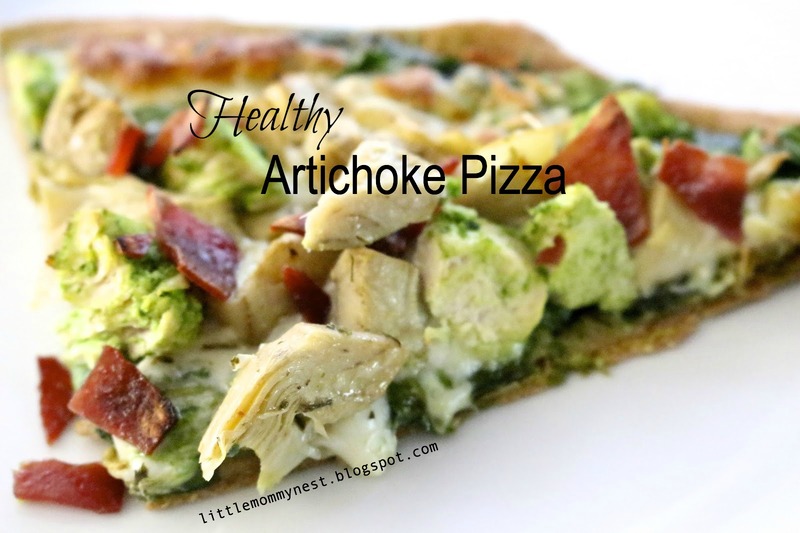 So I used that same pizza dough, and made my own artichoke pizza. 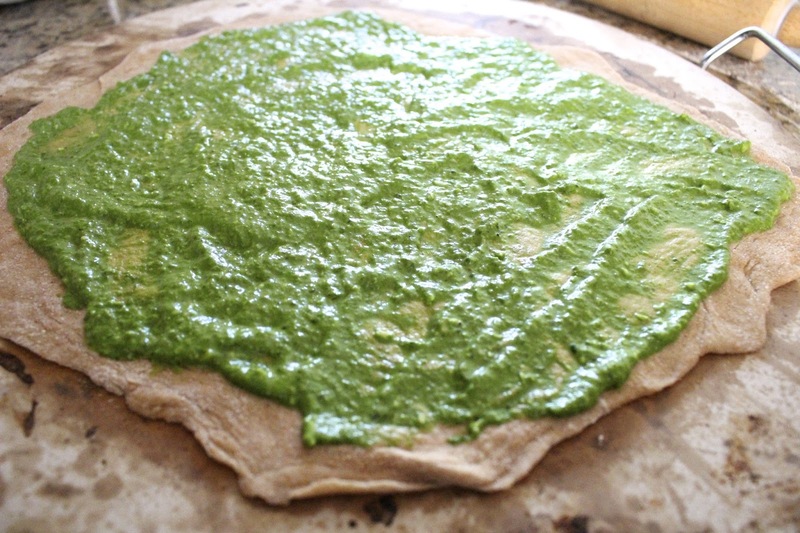 I added pesto to the pizza dough first. Then went ahead and added the rest of my ingredients.. Starting with cheeses at the bottom first.. The rest was in no particular order. Placed in a 450 degree oven for about 15-25 minutes. Until crust was golden brown and cheese was fully melted. so she got to see momma cook!